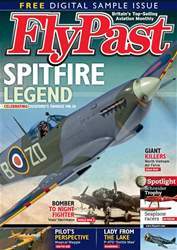 The May 2014 issue of FlyPast, Britain’s biggest selling aviation monthly, brings you the in-depth story of one of the biggest warbird stories to reach British shores for many years. Backed up by stunning air-to-air photography, we speak to the Canadian organisation that is bringing Avro Lancaster B.X FM213 to the UK this summer, where it will fly alongside the world’s only other airworthy Lancaster, the BBMF’s PA474. This once in a lifetime tour is not to be missed, and FlyPast has the full story behind it. 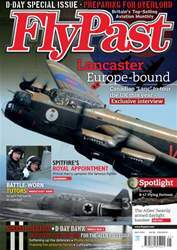 FlyPast also pays tribute to another iconic World War Two bomber, the four-engined Boeing B-17 Flying Fortress. Our 25-page Spotlight section profiles the machine, the men behind it, its use in combat, and features exclusive colour artwork. As we approach the 70th anniversary of the Allied invasion of Normandy, we present a special section detailing how both sides planned their actions in the days and weeks leading up to June 6, 1944. 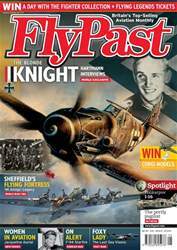 Lt Col Bengt Fransson recounts the tragic tale of a Short Stirling lost during the liberation of Norway. 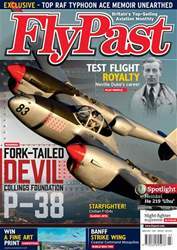 John Parker visits Ross Pay’s expanding stable of historic aircraft in New South Wales. The Bronco Demo Team is making a welcome return to the airshow circuit. Ben Dunnell talks to pilot Tony du Bruyn about his recovery from an accident and future plans for the team. 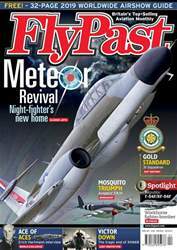 We also take a special trip behind-the-scenes, visiting the RAF Museum’s rarely-seen storage facility at Stafford, and wrap up warm for two Cold War-themed night photography shoots at Farnborough and Bruntingthorpe. Shlomo Aloni looks at the unlikely use of the Harvard as an attack aircraft in Israeli hands, and we bring you news of the mighty Douglas DC-10 bowing out of civil service, and a Hawker Typhoon on its way to Canada.